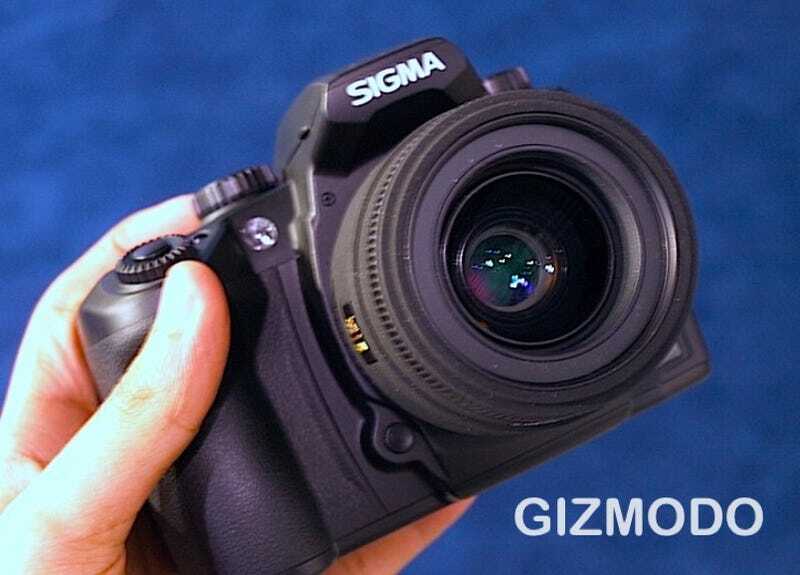 Sigma's upcoming 14-megapixel SD15 DSLR promises to improve on its SD14 predecessor with an improved True II image processor. On display at PMA, the camera feels damn near indestructable when you hold it in your hand. This camera is clearly for those more professionally minded, and isn't smaller or lighter than some of its competitors. The dual dials up top seem a bit excessive considering there are still plenty of buttons on the back, but all in all, it feels good in your hand. And knowing the Foveon X3 sensor it's powered by, the images will more or less be decent as well.